nero profumo: Comme Des Garcons Monocle Scent 03 - Sugi: Mere Minimalism. 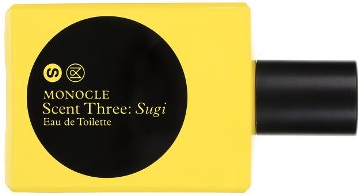 Comme Des Garcons Monocle Scent 03 - Sugi: Mere Minimalism. Antoine Maisondieu at his best. It's absolutely incredible how little elements it takes to create something special when you have a solid concept and an incredible artistic direction. Sugi is minimalism at its best as opposed to the plethora of simplistic pranks we are too often asked to buy as minimalistic and modern forms of *art*. Sugi is an entire composition based around the most fascinating synergies amongst otherwise pretty common notes. What comes out is something unique, novel and totally plausible at the same time. Something that doesn't need to try so hard to be unique. Something that is refreshing for its natural simplicity. No make up, no gimmick, no special effects and no hype. here is not of the most usual quality but, instead, it verges towards the aromatic spiciness of Long Pepper which is a lot hotter than the more common Piper Nigurm. The opening is quite something for anyone into CDG's quirkiness as the pairing of these two notes, give birth to something extremely novel. Sharp, freezing and nose tingling. A rooty orris note breaks in right away and together with vetiver and smooth woody notes, start fascinating synergies between all the elements that strike for being both gentle and sophisticated as well as abstract, futuristic and rough-ish. There's an overall earthiness going on that brings to mind of wet concrete as well as an outdoorsy vibe that feels both naturalistic and industrial at the same time. 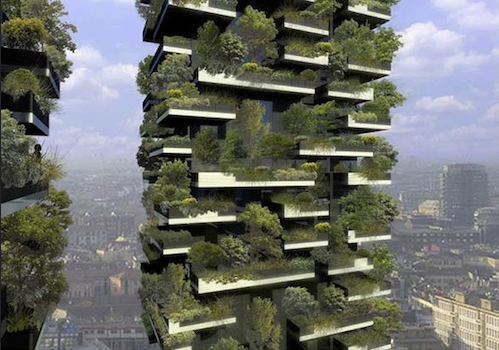 Sort of a futuristic urban agglomeration surrounded by a forest. The fragrance is simple yet anything but simplistic. A gem of minimalism from people who know their stuff. Longevity is extremely good (yes) while projection is a bit tricky. Definitely not a projection monster but sort of like you think it's gone and then BAM. One of my favorite fragrances of 2013 and the best in the Monocle Series.